The American Fence Association (AFA) is pleased to announce the call for volunteers for the 2019 Board of Directors and committees is now open. 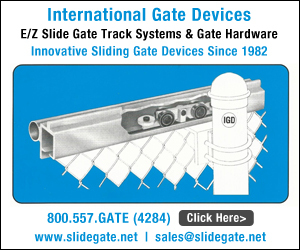 Having an effective Web Marketing plan in place is vital for any successful fence business. What sets the most successful businesses apart, however, is having the right combination of strategies. 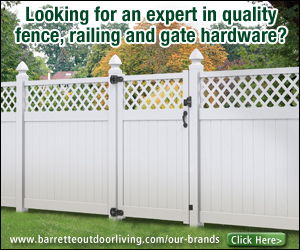 WILL YOU BE ONE OF THE FIRST CERTIFIED FENCE CONTRACTORS? 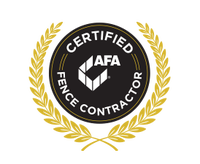 AFA University, November 4-9, 2018, is the official launch site of the Certified Fence Contractor (CFC) credential. Ideal for business owners, upper management and individuals who plan to one day own their own business, the CFC covers business management concepts and fence installation and field safety standards critical to running a fence business. The American Fence Association’s (AFA) Association Awards are open for nomination. The purpose of the AFA Association Awards is to distinguish members who are committed to the industry and contribute to the work of the American Fence Association. 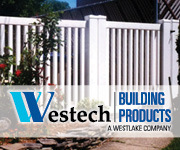 FENCETECH 2019 HOUSING IS OPEN! Registration is underway for AFA University, November 4-9, 2018. Spots are filling fast for this top-notch week of education! Choose from four excellent AFA schools, including the brand new Fence Contractor Business School (FCBS) - a precursor to the Certified Fence Contractor (CFC) exam. Put your best foot forward in AFA’s NEW Pro Awards, recognizing the best of the best commercial and residential projects in the fence industry for 2018-2019. If you know a company that produces top-notch work and is worthy of being an AFA Pro, nominate them for an award in one of the following categories: • Multi-Use (combination of 2 or more categories) • Access Control • Chain Link • Deck/Rail • Farm/Ranch/Agriculture • Ornamental • Wood • Vinyl Nominations will open this month. Stay tuned! Your digital edition of the July/August Fencepost magazine is available! In this issue: catch up on AFA's exciting education initiatives (including taking fence installation training on the road! ), consider the power of exceptional customer service, and make sure you and your company stay safe during hurricane season. The American Fence Association Education Foundation (AFAEF) is accepting scholarship applications for highly deserving candidates in pursuit of higher education. Applicants must have a 3.0 or higher grade point average in the previous three years and have performed a minimum of 40 hours of community service. The deadline to apply is December 1, 2018. Apply today! THEY SAY THINGS HAPPEN IN 3'S. AFA BRINGS YOU THREE BIG SAVINGS OPPORTUNITIES. 1. AFA's Insurance Program - Are you covered for Residential Exclusions ? Call AFA Insurance expert Andy Stergiou 212- 603-0321 to make sure you are covered on all your business insurance lines and Nicholas Lang 212-603-0393 for your 401K needs. 2. Synchrony Consumer Financing - Close more sales by offering Promotional Financing with Synchrony. Bonus Promotion - When you enroll with Synchrony and register with Business Center by November 30, 2018, we’ll send you a $300 Visa® Gift Card! ** Click here to get started. 3. WEX Gasoline Savings Program - Savings up to 15% on fleet operating expenses. 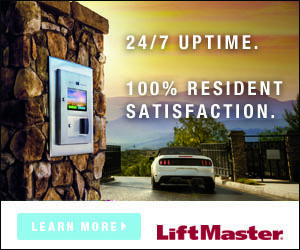 Control, track and monitor fuel spending with access to 95% of gas stations in the USA. Find out more. 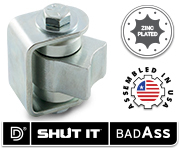 MISSED THE MARKET HARDWARE WEBINAR? Did you miss the Market Hardware webinar, where we taught AFA members how to build more online reviews? You can now download the recording here. EMX Industries announces its IRB-325 photoeye is now UL325-2018 compliant for NC monitoring. Introduced in 1999, the IRB-325 was EMX Industries very first UL rated photoeye. In fact, it was the industry's first ever photoeye to meet UL325 standards. Poly Vinyl Creations, Inc. looks forward to continuing and expanding its role as an innovator in the fencing industry with a generational transition.Effective in August 2018, Robert L. Burton, President & CEO of Poly Vinyl Creations, has decided to begin the transitioning process of controlling interest of Poly Vinyl Creations to his daughter, Jessica Burton, who has been an integral part of the corporation since she originally joined the team back in 2001. 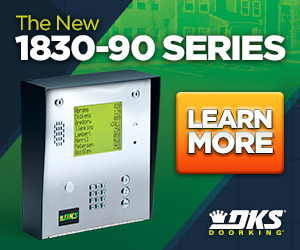 DoorKing®, an industry leader in access control and vehicular gate operating systems, has announced the promotion of Jac Whitmire to National Sales Manager. In his new role, Whitmire will help develop and implement DoorKing sales strategies and he will be responsible for the company’s Regional Sales Managers, who will be reporting to him.